Damon Wayans Jr. has made his return to the FOX series New Girl as a special guest star on the show's most recent episode, but it looks like the character of Coach will be sticking around longer than intended. Wayans has reported that while Coach was initially intended to appear in four episodes of Season 3, his stint on the show will extend slightly past that, as he will continue his tenure throughout the remainder of the season. Wayans will not technically be a series regular, but he will retain the "special guest star" credit he received in episode 7. Coach was the original third roommate in Nick and Schmidt's loft when the series began, and many fans of the show responded quite positively to his antics. 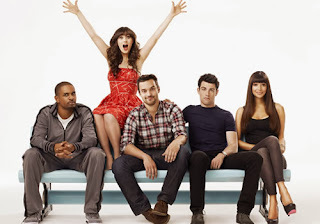 Unfortunately, when NBC picked up the series Happy Endings that Wayans was signed to for a full season order, it meant that he couldn't stay with New Girl. Normally in a situation like that, the character would be portrayed by another actor. However, FOX decided to rewrite the show to go with a more unorthodox route and include a different character in the form of Winston. It was a bold and strange move; Coach was supposed to be a good friend of these guys, and yet the audience never saw or heard from him again. He was referenced a few times, but never brought back because of Wayans' strangling contract with NBC. Now that Happy Endings has been cancelled, it seems that Wayans has found his way back to FOX and they intend to keep him around. There has been rumors circulating about Wayans receiving his own series on FOX, which would potentially cut into his time with New Girl should they decide to write Coach in for a possible Season 4, but it wouldn't be a breach of contract for him to participate in two different shows on the same network. Fans of Coach rejoice! We could be seeing him much more in the next year!